Going on a White House tour was one of my bucket list items. My family and I finally went and it did not disappoint. I will share a few of the pointers I have learned and hope you will enjoy your tour as much as we did. There’s something about being inside of the place where the majority of the pictures of the Presidents happen. There is so much history inside the White House and the walls are filled with it. When I found out we were taking a tour of the White House I was really excited to finally get inside. Washington D.C. is full of so many great sites and this one for sure did not disappoint. 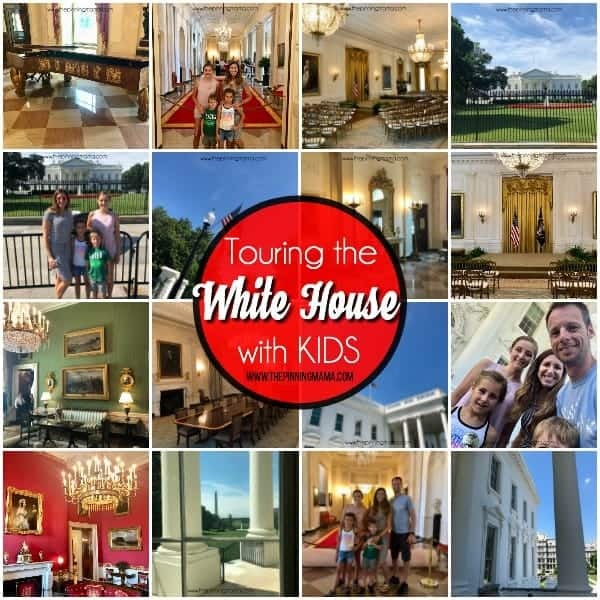 This was one of my kids favorite tours we did and they kept wondering if we were going to meet the President…. which of course we did not but it kept happy to keep looking for him. 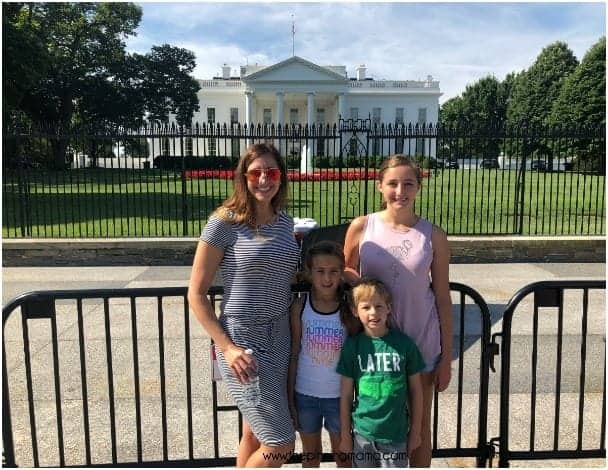 How do you get tickets to tour the White House? You can get tickets to tour the White House in a few different ways. Tour requests are to be submitted through your member of Congress. Tour requests need to be submitted at least 21 days in advance. Before you are allowed in the White House they perform a background search so that is why tours need to be scheduled in advance. There is limited space available because tours are scheduled on a first come first serve basis. If you are a citizen of a foreign country you can contact your embassy in D.C. to schedule a tour. Another way to request a tour is if you know someone who works in the White House. They can also get your tour requests in as well. How much do tickets cost and what days are the tours availble? Tickets do not cost any money. It just takes time to get tickets and a few pages of information on family. Tours to the White House are available Tuesday through Saturday and are not permitted on Federal Holidays. If events come up your tour may be cancelled at any time. So just be prepared that this is a possibility. A lot of important things happen here and you never know when they will arise. What can you bring on the tour with you? If you are the age 18 or older you are required to bring your ID with you. So anyone you’re than that is ok with no ID as long as the older people in your party have one. They did ask my kids their full name and birthday so I would prepare your kids with that information. If you are from a foreign country you need to present a valid passport ID. Prohibited items are as follows …cameras with detachable lenses, video recorders/cameras, tablets or iPads, BAGS of any kind, strollers, pointy objects, foods, liquids, guns, fireworks, weapons of any kind. If you arrive with any of these items you will be turned aways and miss your tour. Permitted Items are as follows…..cell phones, compact cameras, wallets, medical items ( glucose monitors or tablets, wheelchairs, EpiPens), umbrellas with no metal tips. You are not allowed to use the restroom while in the White House, the closest restrooms to the tour are in the White House Visitors Center across the street. What do you get to see on your tour? Wile on your White House tour you will see the East Wing of the White House. You will pass through the East Colonade and see the East Garden Room that overlooks the beautiful gardens of the White House. You will then see the Library, China Room, Vermeil Room and make your way upstairs. Once upstairs you will be ushered into the beautiful and majestic East Room. This is where broadcast, announcements, and ceremonies take place. The day we were there they were setting up for a Purple Heart Award to be presented later that day by The President. Next you will walk through the Green, Red, and Blue Room. There is a lot of history in these rooms along with items form past Presidents that lived there. You will next see the State Dining Room, and make your way out to the Beautiful Cross Hall lined with a red carpet only to be walked on by The President. As you exit the house you will walk under the iconic light fixture you see in most pictures of the White House. Now you can take it all in, looking out across the lawn at the crowds, and beautiful gardens. This is where your tour ends and you exit out after a walk down the long driveway of the White House. Being inside the White House is truly something special. The security is high and the history is rich. The architecture of the building side and out is breathtaking. If you have this special opportunity to tour this beautiful structure go and enjoy every second of it. If you have any other tips and tricks about visiting the White House please comment below.